The next Governor of Indianapolis is going to have a huge impact on health insurance in the state. The first decision the Governor will have to make is on the Essential Benefits. It is the responsibility of each state to form the Essential Benefits. The essential benefits are a set of health care service categories that must be covered by health insurance plan in 2014. The essential benefits will have a huge impact on health insurance premiums. For example, if the state decided one of the essential benefits is that fertility treatment must be covered. This would be a great benefit for Hoosiers that needed that coverage but everyone would pay a higher premium. The 2nd big decision by the Governor is on establishing a state based exchange. Under the new health care law, a state based exchange can be established for people to buy health insurance policies from. This is a very big decision. The cost of running a state based exchange is anywhere from $66-$88 Million a year. The Department of Insurance has not clarified where this money would come from. If the state chooses not set up a state based exchange then the federal exchange will operate in Indianapolis. The Federal Government has not released a lot of information on how that exchange will operate. It is fair to say the department of insurance will have little control over the federal exchange. The next Governor of Indianapolis, will make health insurance decisions that will effect every Indianapolis resident. Here is one aspect of the health care law that has had really little attention. Calorie labeling! Under the health care reform law all restaurants with 20 locations must disclose calories on the menus and menu boards. Sodium, fat content and other nutritional information would have to be available upon request. The FDA has been working on the details ever since. The goal of this provision is to combat obesity by helping the consumer make informed choices of what they are eating. Everyday more information comes out about the health care law. There have been some changes with Anthem and the treatment of Autism in the state of Indiana. If you or member of your family is receiving benefits for services for the treatment of Pervasive development Disorder (PDD) and are currently covered with Anthem there are big changes. Program for each student. The public schools system is suppose to be able to treat children suffering from PDD. Anthem is not going to duplicate coverage that is available through the school system. There can always be exceptions. The services available through public schools are explained on the Indianapolis Department of Education website. With any coverage there are steps to getting claims paid. All treating physicians are going to need to be involved. Investigate what programs are available through your schools. Then check with current treatments to see if there are any overlapping procedures. The overlapping procedures are going to be the areas of concerns. Calculate what the treatments are costing. If your child is receiving 7 different therapies and only 2 of them are covered in the schools system then you only have to be concerned with the 2. Also beware of Anthem’s appeal process. There could be situations where the claims are denied but then approved with a detailed appeal process with your Doctor. 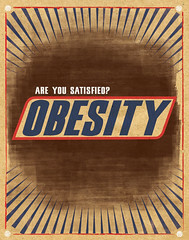 The rate of obesity in our country has grown drastically and it affects everyone. Now under the U.S. health care reform law of 2010 employers are able charge obese workers 30 percent to 50 percent more for health insurance if they decline to participate in a qualified wellness program. There are proven statics showing Obese people have more medical claims than non obese. Obese men rack up an additional $1,152 a year in medical spending, especially for hospitalizations and prescription drugs, Cawley and Chad Meyerhoefer of Lehigh University reported in January in the Journal of Health Economics. Obese women account for an extra $3,613 a year. Using data from 9,852 men (average BMI: 28) and 13,837 women (average BMI: 27) ages 20 to 64, among whom 28 percent were obese, the researchers found even higher costs among the uninsured: annual medical spending for an obese person was $3,271 compared with $512 for the non-obese. So now under the new health care laws employers do have an option to try to help employees address obesity. Obviously, telling someone they have to participate in a wellness program or pay 50% more in premium might not help with morale. Over the last three years, Unum , Guardian, MetLife, Allianz and now Prudential have all exited the Individual Long Term Care market. There looks to be a real possibility that this market will cease to exist. Insurance companies are unable to predict the long term cost of assisted living. They claim they are unable to make enough interest off of premiums to fund long term care cost. In the last few years Individual Long Term Care policies locally and the rest of the country have sky rocketed in cost. This makes for an interesting situation. On one hand the truly wealthy are able to self fund their long term cost. The poor and lower middle class will deplete assets so that they can qualify for Medicaid long term care coverage. So that leaves the middle and upper middle class with the burden. With the middle class there is a good chance of adverse selection happening which will create a death spiral for the LTC policies. An adverse selection is when the high utilization people take a policy and the healthy do not. When this occurs you have a death spiral or when the market is not longer viable. It looks like the Individual Long Term Care market is already in a death spiral. When you all ready have 5 major players in the market pull out that is not a good sign. Consumers might want to consider picking up a policy now while there is still a market for it. Even a base plan with basic coverage can be a key component to helping with long term costs. Indianapolis small trucking companies can face difficulties providing a group health insurance. There is variety of reason why this is. The biggest obstacle is participation. Many truck drivers will not pay large portions of their premium. This industry can sometimes have higher claims utilization than which lead to higher premiums. The higher premium then will reduce the participation in a company sponsored health plan. There are a few ways to overcome the participation issue. The first one is for the employer to pay the majority of the premium. I know that might not be a feasible option but there are plan designs to offset the cost. Why not entertain a multi choice or dual option plan. The base plan would be the plan that employer pays the largest percentage of. Then buy up option for any employee that would like richer benefits. A group health plan for a trucking company is an investment into the employees. So why not treat it that way. If you are able to recruit the best drivers with the lowest infraction why not reward them with benefits. These divers are making your company successful which increase the companies rating which could lead to more jobs. Why not pay the majority of their premiums? View the health insurance plan as a way to recruit and retain the best drivers. There is other option available other than these two. Contact us and let’s have a conversation. 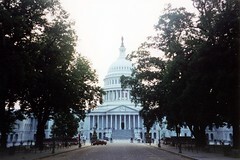 The department of health and Human Services released guidance on two key components that will affect the level of protection a private insurance policy will provide under health care reform. 2nd Involves how much the insured must pay for out of pocket services. The services that must be covered are called the Essential Benefits. 10 categories: ambulatory patient services; emergency services; hospitalization; maternity and newborn care; mental health and substance, including behavioral health treatment; prescription drugs; rehabilitative and habilitative services and devices; laboratory services; preventive and wellness services and chronic disease management; and pediatric services, including oral and vision care. Originally HHS was supposed to specify these benefits Instead they have left it up to each state to decide. They have offered guidance which allows flexibility on how a state defines what has to be covered. The federal Government is using “Actuarial Value” to determine the plan overages. An example of Actuarial Value, is a plan with an actuarial value of 70% would be expected to cover on average 70% of health care expenses, with enrollees paying the remaining 30% through some combination of deductibles, copays, and coinsurance. The Federal Guidance indicates that the actuarial values will be determined by a standard calculator developed by the Federal government. There can be a wide variation in plan designs that have the same actuarial value. This gives some hope to Indianapolis resident about having plan choice under health care reform. The insurance landscape is changing. But the shifts won’t just affect consumers – brokers are also looking at an alteration in the way they currently do business. The new healthcare reform law requires states to create insurance exchanges so people not covered by an employer plan can shop for affordable coverage. Some industry analysts believe that consumers faced with a larger menu of options from which to choose will seek a provider that can offer comprehensive support. If that opinion becomes reality, there is concern that insurance brokers who operate smaller outfits may find themselves unable to compete. On the other hand, the broker might be needed more than ever. A good broker could have significant value in translating the complexities of an exchange versus the private market. In Indianapolis alone, some predictions estimate that more than 800,000 people will move over to some type of exchange. Brokers will play a critical role in making these transitions happen smoothly. For all the supposed simplicity, the exchanges are still an unfamiliar commodity. Individuals and small businesses will still need to figure out which coverage best suits their needs. Brokers and agents can act as guides for determining the appropriate coverage. In addition, employers that currently offer benefits to employees might feel intimidated by all the new regulations. A broker, using an existing relationship with an employer, can help identify new insurance opportunities available through an exchange. As the healthcare reform law crawls closer to full implementation in 2014, it’s important to remember that most consumers will still seek an expert to guide them through the process. Large healthcare distributors may find themselves with greater levels of influence, but the tools they offer to consumers need to keep pace. If they are unable to meet those demands, the role of the broker becomes a tremendous necessity. In the near future we will see Mobile Technology for health insurance and wellness in the from of an APP. People will have the option of downloading APP to their phone which will give them constant communication on health insurance and wellness programs. There are programs that are all ready developed like Calorie Counter. The next generation of health & wellness app are going to be developed by the carriers. Imagine to have immediate access to cost for a certain procedure. Open the app to see if where you are on the calendar year deductible. Maybe a social app for your company to address wellness and keep you connected with health goals. The new apps that are coming out are going to have unlimited capabilities. If you are the controller or an owner of a small business there are major decision you will have to make on an employee health insurance. The one that I will focus on here is age based vs composite premium calculations. These will impact your employees. Age base premium is exactly what they sound like. The premium is calculated by your age. So the younger employee benefit with this because they pay less in premium. The older employee pays much more. Composite rates are an average of the employee ages. So every employee pays the same amount. There are pros and cons to both approaches. Composite is much easier to administer because everyone pays the same price. The age based makes it much cheaper for younger employees which can help with retaining young health people on the plan. Each case is different but these are things to think about when establishing a plan or renewing a group health plan.